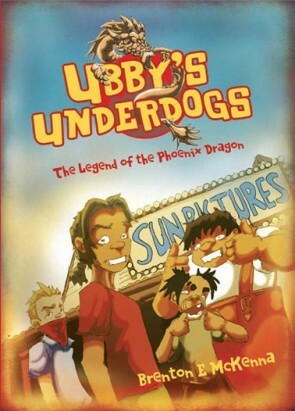 Set in the 1940s when the pearling town of Broome is recovering from World War II, The Legend of the Phoenix Dragon is an epic tale that follows the heroics of Ubby, a street-wise Aboriginal girl and the leader of a rag-tag gang known as the ‘Underdogs’. When Ubby recruits Sai Fong, a Chinese girl off the boat from Shanghai, they are thrown into a series of bizarre adventures full of myths and legends, and secrets never before exposed. McKenna’s first volume of the Ubby’s Underdogs trilogy leaves you gasping for air and hungry for more. Brenton E. McKenna is a young Yawuru artist and writer who fell in love with comic books at a young age. He studied visual arts for two years at Goulburn TAFE and in 2009 was one of twenty successful applicants to be awarded a highly sought-after mentorship with the Australian Society of Authors. Brenton has attended several art workshop/residencies and in doing so has generated much national interest in recent years.